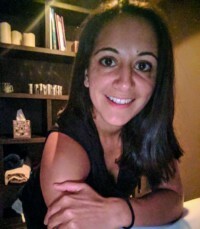 I am a mum of four, a Midwife and founder of Mamma Me Time, a Complementary Therapies and education service specialising in pregnancy and early motherhood. I know just how impacting these times in our life are and I am passionate about providing women with as much natural support, advice and ‘me time’ through this journey as a way to help them recover, rejuvenate and most of all enjoy their journey. Closing the bones is such a wonderful service to be able to offer to women. It is so adaptable and so can be tailored to your exact needs. It is simply a beautiful experience and I would be honoured to provide you with your ceremony.